A couple of weeks ago I went to the doctor for a check-up. She decided to run some blood tests and we discussed that it was also time for the dreaded mammogram. After my blood work was completed I got a call from the nurse who said the results looked great overall but that my calcium was elevated ever so slightly. I asked if this was of concern and she assured me I shouldn’t worry about it. Sometime between that phone call and the mammogram I got to wondering how a girl (one might even say woman) who doesn’t consume any dairy products, would end up with an elevated calcium level? Enter Dr. Google. You know, that famous doctor who’s accessible 24 hours a day and gives you just enough information to scare you silly? Seriously, stay away from him! He’s a quack! Unfortunately I did not. First off, the particular website I visited mentioned that millions of Americans get diagnosed with hypercalcemia (elevated calcium levels) every year. It is often due to something as simple as a fluke in the testing or from being a bit dehydrated. Somewhat relieved, I read down the list of other reasons for this issue, eliminating a few along the way. There were a few minutes of panic when I read the second possibility listed – cancer. TWELVE potential types of cancer were listed and number two was breast cancer. Then the writer added: “Thankfully, hypercalcemia of malignancy is uncommon and generally not worth worrying about in most healthy people. (Really, please don’t worry. Kindly read on. )” Come on, Dr. Google! If it’s so uncommon please move it to the bottom of the list and save a girl some stress! Next on the list of things that could cause hypercalcemia was a particular type of medication, which I take. After reading that, Miss Not-a-Nurse-Nancy’s diagnosis was complete and I put it out of my head until . . . I had my mammogram the following Monday. The clinician gave me a phone number to call for the results saying they’d be ready in 24 – 48 hours. I asked if the results would be posted in my online medical records and was told that yes, it would show up there, too. 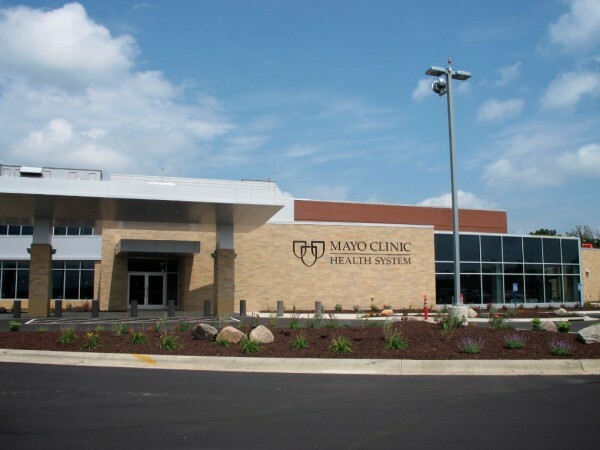 Having had a vast amount of experience with the Mayo clinic’s online medical records, I know that they are pretty quick to enter the information once the results are complete. And really, how long does it take to look at an x-ray and say, “Nope, no cancer?” So I started checking my computer on Monday afternoon – nothing. Tuesday afternoon – nothing. Tuesday evening – nada. Hmmm . . . what did that website say again? Hypercalcemia could be a sign of breast cancer? AND THE IMAGINATION GOES WILD!!! On Wednesday morning 46 hours after the screening was completed, I was still without online results when my friend greeted me at a meeting, “How are you?” she inquired. And the floodgates opened. One hour later our meeting ended and I checked the Mayo clinic app on my phone once again. Still no results. Pulling the paper with the phone number for the Breast Imaging Center from my purse I hesitatingly dialed. I was asked to punch in the code on my info sheet and soon heard the sweet words, “Your testing is complete. No further images are necessary.” The message, I was told, had been posted on MONDAY at 1:35 PM!!! Just two-and-a-half hours after my test! One might think that the thing I’m most grateful for on this “Watchful Wednesday Blog” is the negative test result. And yes, I am so very thankful for that. But I’m even more grateful that God cares enough about me to remind me – again – that I need to stay focused on him. It hasn’t even been a month since I last wrote about the loving “slap” from God when I was focusing way too far into the future. But God is loving and patient towards me. He willingly teaches me the same thing over and over again – and sometimes he even uses my friends. Thank you to Holley Gerth who so graciously allows others to link up to her blog each week. She’s an amazing encourager! This entry was posted in Watchful Wednesdays and tagged God's faithfulness, God's love, Mammogram on August 20, 2014 by Nancy. Nancy, encouraging thoughts! A family member was just going through this same thing. She was not so fortunate, but had surgery and radiation and is doing well. God takes us through all things but the important thing is that he is with us in all these things! Glad your family member is on the mend, Diane. And indeed, the Lord is with us in ALL things! He is so faithful – always! I know what you mean about an imagination running wild! Happy to hear you had good news! Yes He is, Loralee! Thanks for stopping by! My husband always tells me to put down the computer. Dr Google seems to think every symptom can be from cancer!